Paper piecing takes just a little getting used to, but it is worth the effort to learn. Like anything else, the more you do it, the more comfortable you will become with the process. And the results will amaze you. Sometimes you just can’t get the same results any other way. 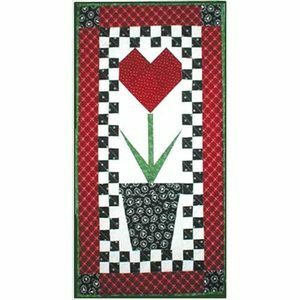 If you are new to paper piecing, Love Grows is a great pattern for learning. The flower, its greenery, and the flowerpot are paper pieced and easy enough for a beginner. The rest of the pattern is traditional piecing. When you are finished you will have a 14″ x 26″ wall hanging to gift or to hang onto so you can celebrate your new found passion for paper piecing! Not into bright? Although Coneflowers has a little more paper piecing than the previous pattern, it’s still easy enough, but looks complicated. Impress your friends…. and yourself! Ready to really jump in? Go big! Sunset on Ellis Island measures 43″ x 43″ and has a big WOW factor. 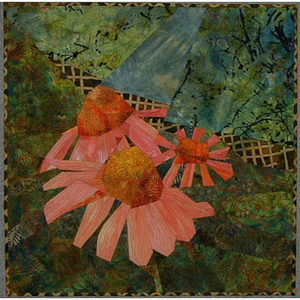 Nelly Vileikis of Artelas Quilts writes clear, easy to follow instructions. Have fun with color on this one and create a beautiful wall hanging that you’ll be proud to show off. Want something on the small side? 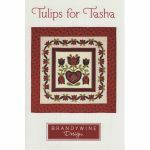 MH Designs has dozens of paper piecing patterns in small to medium sizes. Mary’s themes are varied and she usually packs a lot of detail into her designs. 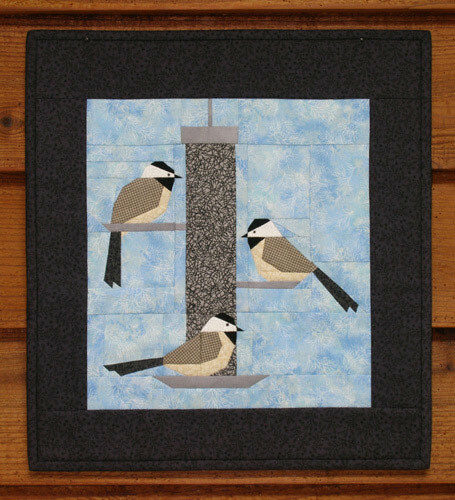 Chickadee Treat is a 12″ x 13″ wall hanging. She certainly captured the essence of Chickadees, didn’t she?! 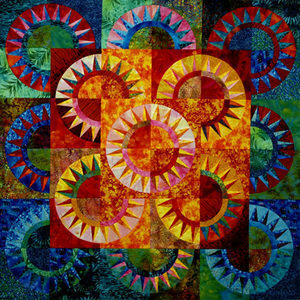 Check out all the paper pieced patterns (also called foundation piecing). You’ll probably see several that you want to try!